The Excellence of Epcot! – Reflections of Earth | It's "All in WDW"
Last night, as I watched a “triple dead-heat” building, I posted a message to the Liners Facebook group. I said that the voting was so close when we elected our Favorite Disney’s Animal Kingdom Attraction, that I sat there re-freshing my web site over and over again until I finally saw the last vote cast – the vote that decided the winner. … sole winner, but in electing it, this whole vote has left me speechless. From the fantastic 870 page-view day last Sunday to this final result … well, I couldn’t have predicted this at all. And, I’m speechless. Thanks. 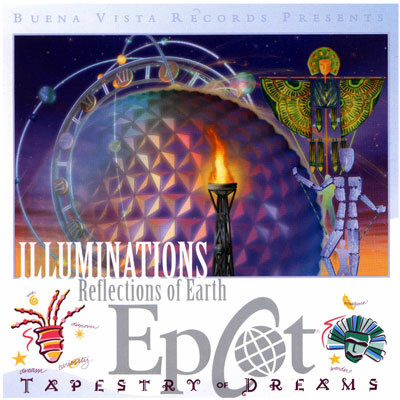 IllumiNations: Reflections of Earth squeaks away with 44 to 43 victory over Epcot’s iconic Spaceship Earth … who slips into the Top 2 with a 43 to 42 win over Soarin’®. Wow! What a battle! What an evenly-matched trio of attractions. We’ve “crowned” Epcot’s “king” one day after its 25th Anniversary. Congratulations, Illuminations! How appropriate, huh? And, the flagship of Epcot, Spaceship Earth, lives to “fight another day”. Great vote, everyone! thanks for your support! Illuminations and Spaceship Earth will return to face the Tower of Terror, Rock ‘n’ Roller Coaster, Expedition Everest, and Kilimanjaro Safaris in our all-WDW vote. For now, though, I’m proud to announce that IllumiNations: Reflections of Earth is the All in WDW Readers’ Favorite Epcot Attraction!